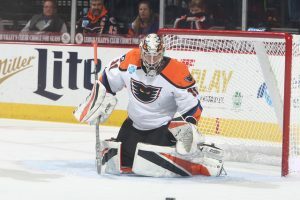 Lehigh Valley, PA – The Lehigh Valley Phantoms scored on four different breakaways accounting for half of the team’s offense en route to a big night in an 8-2 rout of the Springfield Thunderbirds on Friday at PPL Center. Greg Carey (6th, 7th) and Taylor Leier (1st, 2nd) had multi-goal games while Chris Conner (4th) registered a goal and two assists. Mike Vecchione (4th), German Rubtsov (6th) and Cole Bardreau (3rd) also lit the lamp. Bardreau’s breakaway marker was his second shorthanded tally of the season, both against Springfield. Chris Conner collected his 300th career AHL assist on the first of his three points in the game. And Leier’s first two goals of the season came in his 200th game all-time with Lehigh Valley. Leier joins Conner as the only two players to have reached the 200-Game milestone with Lehigh Valley. It was only the second regulation loss of the season for the Thunderbirds who entered the game at 7-1-2 while also rating as the top offense in the league at 4.3 goals per game. But it was the Phantoms offense that was shining brightest in this showdown. Even when the Phantoms were down 1-0 after one period it was clear that the home team had the better of the play. Lehigh Valley improved to 7-3-2 as the team reached six or more goals for the fourth time this season in just 12 games. Eight goals equals the most for Lehigh Valley having been done two other times. 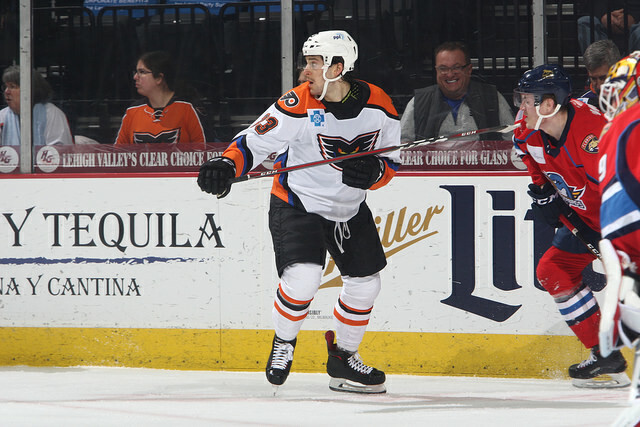 The team fell just one shy of the Phantoms franchise record of nine goals in a game. Lehigh Valley previously reached the right-goal mark on February 16, 2018 in an 8-2 win on the road at Springfield and also on December 16, 2016 in an 8-6 win against Bridgeport. 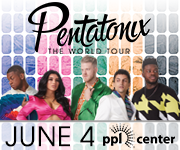 That game in 2016 included an empty-netter at the end to seal the victory so tonight marked the first time for the Phantoms at PPL Center to pour in eight against goalies without any empty-netters helping the total. 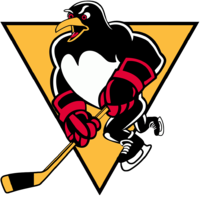 Lehigh Valley also scored five goals in a period for the first time ever. 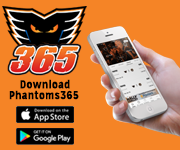 The last time the Phantoms franchise had that many goals in a period was April 1, 2011 when the Adirondack Phantoms cranked out a franchise-record six goals in the second period en route to a 9-5 win over the Albany Devils. Lehigh Valley’s six-goal margin of victory also equaled an all-time team best accomplished three other times since the Phantoms arrived to Allentown, most recently in the 8-2 win at Springfield last February. Leier scored his first goal in almost a year. He had not tallied since November 22, 2017 with the Philadelphia Flyers at the New York Islanders. His last goal in a Phantoms jersey was in Game 5 of the Calder Cup Playoffs against the Hershey Bears on April 30, 2017 while his last two-goal game was November 12, 2016 against the Toronto Marlies. The Phantoms dictated the pace of play in the first period and allowed very little to Springfield. But they still found themselves trailing on a fluky goal from behind the goal-line by Paul Thompson banking a backhander off the left skate of Carter Hart. But Lehigh Valley surged back in the second with a quick quintet of quality scores. Greg Carey tied the game at 1-1 on a fast power-play rush into the zone. Rubtsov connected with Conner at the right boards who spotted Carey dashing up the middle to perfectly put the exclamation point on the speedy puck movement that rapidly developed from their own end. Taylor Leier emerged from the penalty box following his first infraction of the season and was well in the clear when Tyrell Goulbourne neatly found him wide open. Leier flipped his breakaway backhander over the pad of Hutchinson for a 2-1 Phantoms lead at 5:43 into the second period. Then it was Mike Vecchione’s turn on the breakaway going to the upper right corner at 7:36 with Conner again assisting for a four-on-four goal. Exactly one minute later it was Cole Bardreau burying his shorthanded breakaway for a 4-1 lead less than nine minutes into the middle frame. Both of Bardreau’s shorthanded goals this season have come against Springfield. This one was unassisted. After Dryden Hunt sniped off the post for a Springfield goal at 13:03 it would be German Rubtsov to score the record-breaking goal at 16:23 of the period. T.J. Brennan’s slapper handcuffed the goalie, Michael Hutchinson, thus allowing Rubtsov to muscle his way through and nudge the puck barely across the goal-line marking the first time ever that Lehigh Valley had scored five goals in a period. Greg Carey slammed home a 5-on-3 conversion early in the third period for his second marker of the game. And David Kase’s intercept on the blue-line created a two-on-one and ultimately set up Leier all alone on net on practically a mini-breakaway. Leier this time went wide around relief goaltender Samuel Montembeault for a forehand goal wide of the netminder’s right skate. Then it was Misha Vorobyev’s stretch-pass perfectly connecting with Conner in stride for yet another breakaway conversion, this time five-hole on Montembeault, to complete the scoring with 5:31 remaining. 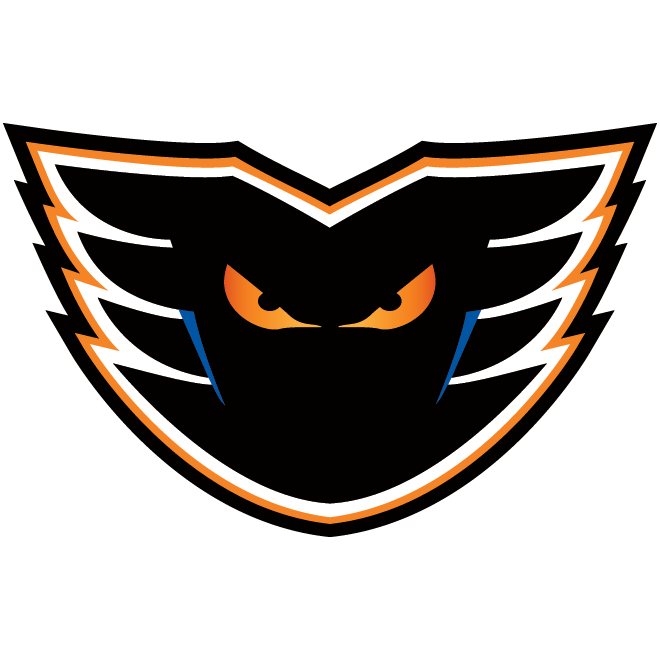 The Phantoms limited Springfield to just 18 shots in the game which is a season-best for the Lehigh Valley defense. The Phantoms were 2-for-7 on the power play while holding the Thunderbirds to 0-for-4. 1st Period-1, Springfield, Thompson 7 (Zolnierczyk, MacDonald), 17:46. Penalties-served by Zolnierczyk Spr (bench minor – delay of game (faceoff violation)), 5:22. 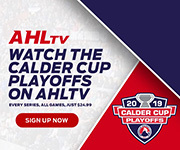 2nd Period-2, Lehigh Valley, Carey 6 (Conner, Rubtsov), 2:11 (PP). 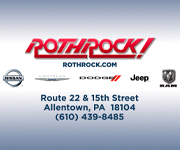 3, Lehigh Valley, Leier 1 (Goulbourne), 5:43. 4, Lehigh Valley, Vecchione 4 (Conner), 7:36. 5, Lehigh Valley, Bardreau 3 8:36 (SH). 6, Springfield, Hunt 5 (Hawryluk, McCoshen), 13:03. 7, Lehigh Valley, Rubtsov 6 (Kase, Brennan), 16:23. 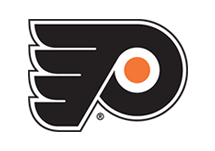 Penalties-Zolnierczyk Spr (interference), 1:45; Leier Lv (holding), 3:36; Farnham Spr (cross-checking), 6:17; Brennan Lv (roughing), 6:17; Leier Lv (boarding), 8:09; Hunt Spr (slashing), 17:30. 3rd Period-8, Lehigh Valley, Carey 7 (Varone, Myers), 5:43 (PP). 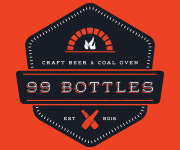 9, Lehigh Valley, Leier 2 (Kase), 9:49. 10, Lehigh Valley, Conner 5 (Vorobyev, Willcox), 14:29. Penalties-Bardreau Lv (high-sticking), 0:53; Byron Spr (slashing), 3:47; McCoshen Spr (delay of game), 3:59; Thompson Spr (roughing), 6:57; Brennan Lv (hooking), 8:09; Hunt Spr (hooking), 9:11; Schemitsch Spr (misconduct – unsportsmanlike conduct), 12:22; Bardreau Lv (misconduct – unsportsmanlike conduct), 12:22. Shots on Goal-Springfield 6-7-5-18. Lehigh Valley 13-10-8-31. 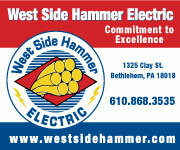 Power Play Opportunities-Springfield 0 / 4; Lehigh Valley 2 / 7. Goalies-Springfield, Hutchinson 0-1-1 (23 shots-18 saves); Montembeault 5-0-0 (8 shots-5 saves). Lehigh Valley, Hart 3-2-2 (18 shots-16 saves). Referees-Terry Koharski (10), Tim Mayer (19). Linesmen-Ryan Knapp (73), J.P. Waleski (14). 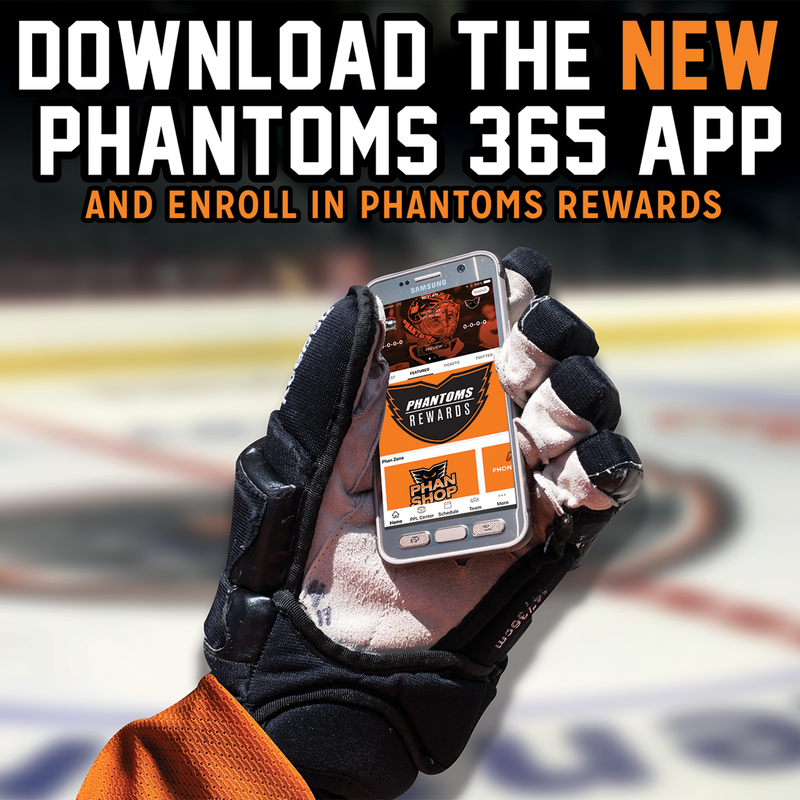 Tickets for each and every Phantoms home game throughout the 2018-19 season are available online at pplcenter.com, by calling 610-347-TIXX  or in-person at the QNB Box Office [7th & Hamilton].